A report claimed that government officials have stopped using electric vehicles sold by Tata and Mahindra. Here is what Tata has to say. 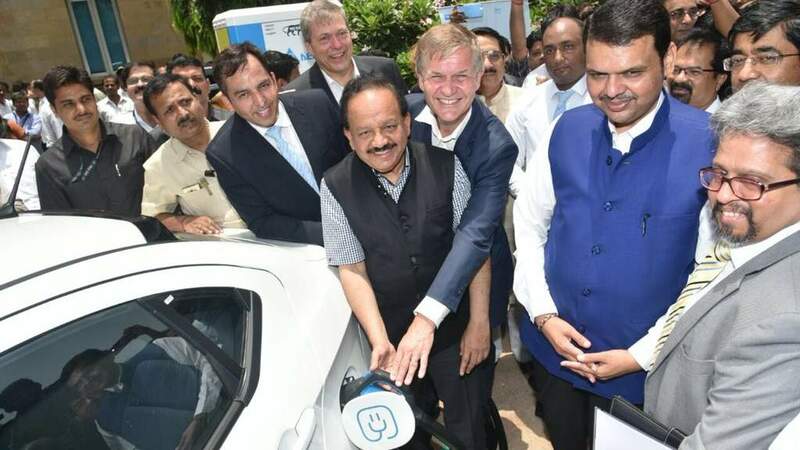 There have been reports in some media regarding the unsatisfactory performance and mileage of the Tigor Electric Vehicles (EV) from Tata Motors procured by EESL for use by Government officials. First Tigor Electric presented to govt officials. • Based on our interaction with the customers and EESL, we have not heard range as a major concern. • The EESL tender of 10,000 cars has been an unprecedented initiative to accelerate the adoption of electrification. It was the first big step and the most effective way of generating real interest in the country for electric cars. • We believe that EESL, after intensive consultation of experts, was able to strike the optimum balance between meeting the daily running requirements of the end-users and most importantly, price accessibility, finalized the tender specifications. • Tata Motors has supplied the Tigor EVs to EESL in line with the specifications provided in the tender. • In India, 74% of the car buyers are still price conscious with a budget of INR 400K-800K. For prices above INR 1.5 million, the customers are limited. In such a scenario, the biggest barrier to adoption of electric cars is price of the car itself, and battery cost is the key variable determining the same. The specification chosen by EESL helped in keeping this aspect under control, while choosing a range, which was good enough for the city use. • Research findings shows that average running for a personal use in a day is around 50-60 kms. Therefore, with an overnight charging, a range of 130 km is more than adequate to meet the daily requirement. Also, with a fast charging network, the range concern could further be taken care of. A higher range of 250 kms and above would mean battery cost of more than INR 700k, which would take the electric cars price completely inaccessible for majority of the Indian customers at the prevailing Li-ion battery prices. • In future, as the battery prices keep coming down, it is an imperative to increase the range for bringing further mental comfort to the consumer. The technology to deliver higher performance and range is available, but the country has to take a conscious call to whether prioritize price accessibility in the next few years, or create high performing and extended range cars with, most probably, a lower demand due to higher price. • With our wide expertise and experience in providing smart mobility solutions, Tata Motors is technologically ready to create a range of electric cars, which meet the requirement of various use cases. We have introduced our first product, Tigor EV, which is custom-made to the EESL tender. In the coming years, we will introduce products with higher range and performance to bring greater excitement in the Indian market for electric cars. Apparently, the price of such cars will be on the higher side driven by battery capacity and cost. • Tata Motors is committed to the Government’s mission of e-mobility by 2030, and continue to work in a collaborative manner to facilitate faster adoption of electric vehicles and to build a sustainable future for India.